Today, we have another Picture Polish beauty on the blog. Unicorn is also one of newly released picture polish blogger collaboration shade. This beauty is idea of Allie aka Brit Nails. 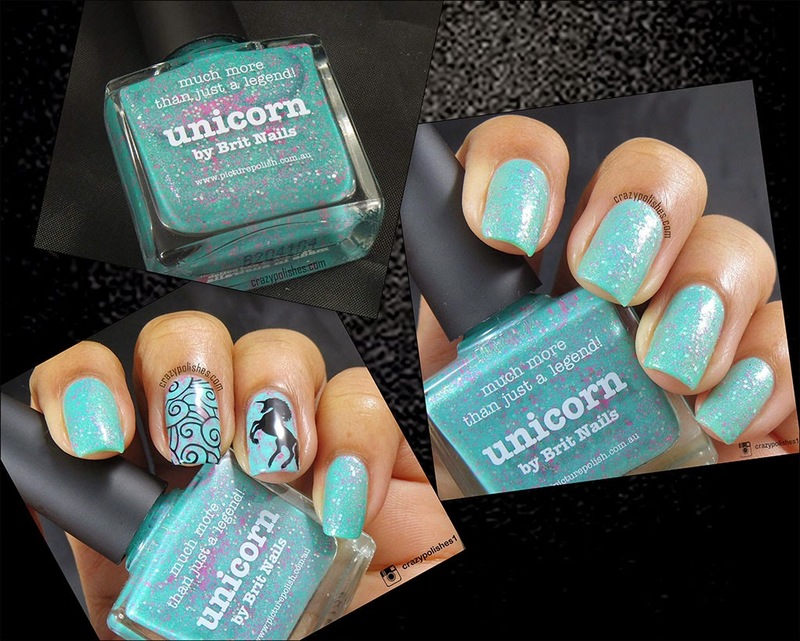 Unicorn is turquoise base with pink and silver shimmers along-with bigger bright pink and silver hex glitters. Formula is little different than Fool's Gold and Sizzle but maybe that's because it has more glitters than the rest two. It require 2 coats and definitely top coat to even out slightly bumpy finish because of glitters. I used 2 coats and 2 thin coats of hk girl top coat for following pictures. I did a water-marble accent manicure using chillax and water melon and stamped it with images from Nailz Craze nc 02 stamping plate. I smudged this so i redid the manicure using same polishes and theme but a base of saran wrap this time. 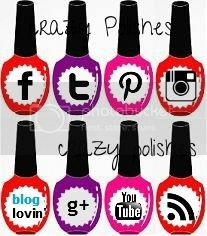 Check out pics for both manis. Though i liked the water marble nail art more but I dont like smudged manis so I am ok with saran wrap one.